The President has another plan to close the prison at Guantanamo Bay. It's as likely to be well-received on Capitol Hill as all of his other previous plans on this issue. WASHINGTON — The White House on Tuesday sent Congress a long-awaited plan for closing American prison in Guantánamo Bay, beginning a final push to fulfill one of President Obama’s earliest and most troubled national security policy goals in the face of deep skepticism from many Republican lawmakers. The plan centers on bringing between 30 and 60 detainees who are deemed too dangerous to release to a replacement prison on domestic soil; it suggested several potential sites in South Carolina, Kansas, and Colorado. The rest of the 91 detainees would be transferred to other countries. A Pentagon-led study estimated that taxpayers would spend from $65 to $85 million less each year to house detainees at a prison in the United States l than at Guantánamo. 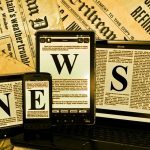 That savings would offset the construction costs of upgrading a facility in the next several years, a senior administration official said in a briefing for reporters before the report was released. But Mr. Obama said saving money was not the only goal. Mr. Obama pointed out that the push to close the prison once enjoyed bipartisan support, including from Mr. Bush and Senator John McCain of Arizona, his 2008 presidential rival. But the politics changed, he noted. “The public was scared into thinking, ‘Well if we close it, somehow we’ll be less safe,’ ” Mr. Obama said. Mr. Obama’s efforts to empty Guantánamo has been part of his effort to end a chapter in the so-called war on terrorism that began under his predecessor, President George W. Bush. 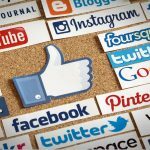 He hopes to eliminate what he says has become a damaging symbol of American power that helps terrorists recruit new followers. Mr. Obama’s strategy has been to transfer all lower-level detainees to countries that can meet security conditions. But the prospects of the plan’s other main component — transferring some detainees to American soil — are unclear, because of a statute banning the military from taking detainees from Guantánamo to the United States. The Republican-controlled Congress has shown little interest in revoking that law, and the White House does not expect lawmakers to accept the plan released Tuesday. He said that he had spent “countless hours” over the past seven years working to close the prison, and that he fielded many phone calls from close allies criticizing its existence. President Obama’s appeal to lawmakers to close Guantanamo prison camp is already drawing ridicule in Congress, where Republican leaders quickly slammed him for releasing what they see as an incomplete proposal. Republican congressional leaders, along with the senior House and Senate Armed Services Republicans, swiftly decried the administration’s plan — which was submitted to Congress on Tuesday — as shoddy on the details and a poor proffer to get a serious conversation going about closing the controversial detention facility. Last year, Congress required the administration to furnish details about the “specific facility” where it planned to send detainees as a key part of the plan delivered to Congress by Tuesday’s deadline. Republicans leaped on the omission. The Obama plan does not specify a preferred destination for the remaining detainees, or give anything more than what senior administration officials on Tuesday called a “prototype” for what a United States detention facility should look like. The lack of detail is making enemies of Obama’s plans from people who were once friends. Senate Armed Services Committee Chairman John McCain (R-Ariz.) was supportive of the idea of closing the Cuba-based detention camp, but only if such a plan is first vetted by Congress. McCain was key to brokering the provision of the National Defense Authorization Act requiring the administration to submit a plan to close Guantanamo to Congress, which was seen as the critical opening step to starting a formal debate. On Tuesday, McCain said Obama’s plan had missed the mark. 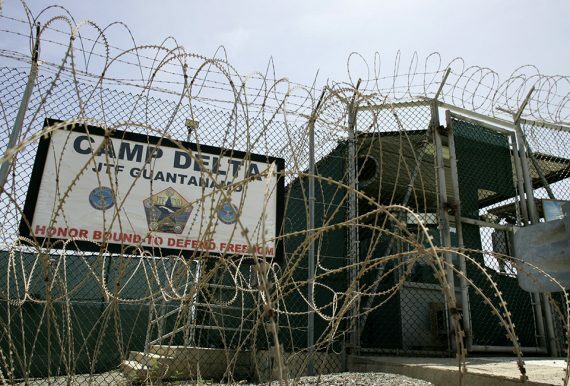 Since before he even took office, President Obama has been trying to sell Congress on the idea of shuttering the detention facility at Guantanamo Bay that has been used to hold suspected terrorists since 2002. Bit by bit, the Obama administration has been transferring the remaining detainees being held at the facility to other countries and working to prove that closing Guantanamo would save taxpayers money. There are currently 91 detainees left at Guantanamo Bay, 35 of whom are eligible for transfer to other countries. The Pentagon’s plan estimates about $65 million to $85 million in annual savings from moving the 30 to 60 detainees who would remain to a facility in the United States. The plan further estimates the government could recoup the one-time costs of transferring those detainees – about $290 million to $475 million – in three to five years. But naming a specific location or locations to which remaining detainees could be transferred is a politically treacherous undertaking. Only some of the facilities the administration has scouted are public, sparking fierce denouncements from lawmakers whose states and districts would host them. One such site is in Colorado, where administration officials looked into converting a high-security prison facility into an alternative to Guantanamo’s detention unit. The local pushback meant even one of Obama’s closest allies in Congress had nothing warm to say on Tuesday about the closure plan. The same blowback arose from the largely Republican delegations representing states like Kansas and South Carolina, where administration officials have also considered housing detainees. Indeed, Obama has struggled over the last several years to find any Republicans allies in his quest to close the detention facility. Instead, lawmakers – suspicious that the president might try an end-run around Congress to force closure – have taken precautions by passing legislation forbidding the administration from using any Pentagon money to transfer detainees to the U.S., or start building a new facility to house them. Military officials have said recently they have no plans to cross Congress on this point. The effort to close the prison at Guantanamo Bay is one that predates President Obama takes office, and it seems clear that this plan does little to nothing to bring us closer to that actually happening. 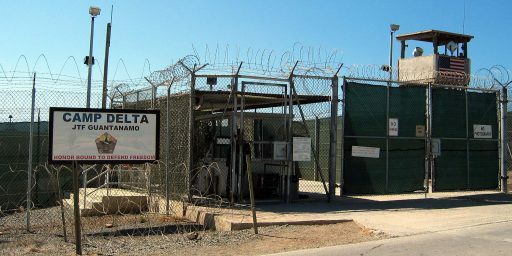 In addition to the promises that President Obama made when he was a candidate for President, the Bush Administration in its final years was at least beginning the process of putting the facility on a path toward being shutdown by releasing prisoners who could be returned to their home countries, or to other countries in places as diverse as South America, Europe, and the Middle East that have been willing to take them. Additionally, people who were housed at the facility who arguably never belonged their in the first place have also been released, although that process took far longer than it probably should have. After President Obama took office, one of the first Executive Orders he signed ordered the facility placed on the track for closure and for the military to work with civilian authorities to find places to house those people who could not be released under the criteria that do allow for release to either their home country or a country willing to accept them. Almost as soon as the ink was dry on that Executive Order, though, the President found that bipartisan majorities in Congress stood opposed to his plan, and most especially to any plan that would involve housing any of the Guantanamo detainees in Federal civilian or military prisons located in the United States. Before today, it was three years ago, that President Obama announced his then most recent plan to close the prison, and that plan went absolutely nowhere. 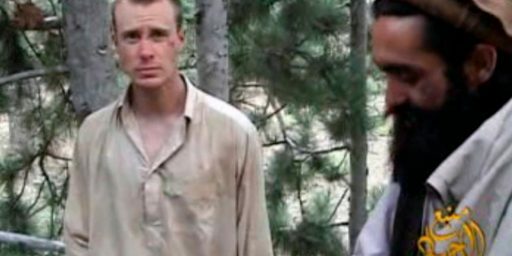 When Bowe Berghdahl was released from Taliban captivity in exchange for the release of five Guantanamo Bay prisoners, many believed that we were seeing the beginning stages of a plan that would result in the facility being closed, but that also proved to be untrue. Indeed, as Kevin Drum pointed out at the time, it was clear that bipartisan opposition and other political considerations made it unlikely that the facility would ever actually close. Most recently, the Defense funding and spending authorization bill passed by Congress and signed into law in November includes provisions that bar the transfer of any of the remaining detainees as well as other restrictions that seemingly make it next to impossible that the facility will close before President Obama leaves office, if ever. By and large, it seems clear that President Obama and the others who have been calling for the closure of the Guantanamo Bay facility are on the right side of the argument. The facility itself is a stain on the Constitution and, given its association at least in popular culture with torture, the reputation of the United States even though it appears that most incidents of so-called “enhanced interrogation” actually took place at ‘black sites’ run by the Central Intelligence Agency that were located in various cooperative nations in Central Asia and elsewhere. Additionally, many of the detainees that remain in the facility arguably do not even belong there at this point and, for those who clearly cannot be released for security reasons, the civilian court system is arguably the appropriate venue to decide their ultimate fate. President Obama is also correct that the facility has become a recruitment tool for extremists and actually ends up costing taxpayer more than housing the remaining prisoners in domestic facilities would over the long term. Finally, the idea of indefinite detention without charges and a trial outside of the context of someone being a Prisoner Of War, which contemplates their eventual release at the end of hostilities, goes against everything the Constitution says and everything America stands for. Despite these perfectly valid arguments, though, the Administration has been unable to convince either Congress or the American people to go along with any plan to close the facility and transfer the remaining detainees, and it’s unlikely they’ll be able to do so this time. When President Obama first announced his plan after taking office, polling seemed to indicate that it had fairly substantial public support, but that support melted away once it became apparent that any plan to close the facility would include moving prisoners to the mainland United States. The most recent Gallup poll on the subject, taken in June 2014, found two-thirds of Americans opposed to the idea of closing the facility and relocating the prisoners, including majorities of Republicans, Independents, and Democrats. A Rasmussen Poll taken at the beginning of 2015 found 53% of Americans opposed to closing the facility and only 29% in support of the idea, and a June 2015 poll found similar numbers as well as finding only 14% believing that Obama would actually succeed in carrying out his plan before leaving office in January 2017. Numbers like this are the reaso why the President’s efforts to close the facility have been resisted not only by Republicans on Capitol Hill, but also by Democrats, who can read the polls just as much as their Republican colleagues. While it doesn’t seem as though there’s been much more additional polling conducted on this question in recent months, it’s likely that the numbers today are roughly the same and that a majority of Americans oppose the idea of closing the facility and moving prisoners to the United States. Because of that, and because it is an election year, it’s likely that there will be very few minds on Capitol Hill on either side of the aisle that will be changed by this latest plan from the White House and that Guantanamo Bay’s detention facility will still be very much in operation when the next President takes office on January 20, 2017. Why would Republicans, who evidently prefer a flacid SCOTUS, care about the right thing when it comes to Gitmo? Imagine being so afraid that the thought of prisoners turned into helpless children because of years of solitude and alienation ending up in a Supermax rather than an island far away is too much. You might as well be listening to a bunch of seniors about in an assisted-living home explain how the dark-skinned woman who wipes them down everyday is stealing their money. If you want a serious candidate, you could have one how proposed a cut-off age for voting as a constitutional amendment. It’s not just Republicans opposing closure of the facility and relocation of prisoners to the mainland, this is also a position taken by most Democrats on Capitol Hill as well. Congressional Democrats who are running this year are being cautious…but leadership is giving him cover to act…at least according to this reporting. Most Americans oppose closing this place. We do not want terrorists transferred to some prison down the road somewhere and they wait around for someone from ISIS to pull the escape hatch, and then are out roaming the neighborhoods and highways. I would not think that a president has the authority to close a military prison like that. And certainly we would not be foolish enough to close the military base there, which is of strategic importance. The president has not made a justifiable reason to close the prison there and most people cannot comprehend that he would do that, considering the terrorist threats that the world faces today. And just where are the prisoners there going to be sent, or is he planning on just letting them go to return to their lives of violence ? The only reason that I can think of is that he is trying to please and placate Iran or some other middle east potentate. Our leaders should not worry what they think. American security comes first. I know that some may disagree with my views on this and that is fine, but someone has to take a stand on this. The Guardian has an excellent article over Obama’s self-inflicted wounds in trying to close Guantanamo.